Sacramento, Cold Brew on Tap has Arrived! We are happy to announce that our kegs of cold brew are now being sold in Sacramento and across Northern California! Joyride has partnered with Six Degrees Coffee, a sustainably driven company, dedicated to providing quality beverage to its community. Based in Chico, Six Degrees Coffee services Northern California, and can you set you up with the country's best cold brew on tap! 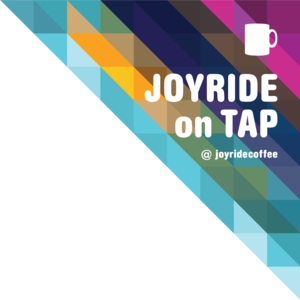 Revamping your office coffee program or adding cold brew kegs to your cafe has never been easier, now that Joyride is available to you! Offering the same cafe-quality products that we have been providing for years to the most innovative spaces in New York, Los Angeles, San Francisco, Boston and more. We've experienced first-hand how offices and office workers are craving something better in their morning coffee cup, and we want to help! Contact us below to learn more about how Joyride and Six Degrees Coffee can help your office or cafe! The hottest trend on the cafe scene will also be the best thing to happen to your office this year. Through Six Degrees Coffee, Joyride offers cold brew coffee and nitro matcha, all on tap. You can say goodbye to wasteful single-serve bottles and hello to sustainable, reusable kegs in your office. Each keg removes between 80-160 bottles from circulation with every use and contains only the finest craft products available today. We can not only set your office or cafe up with delivery, but also a Joyride kegerator system so you can get pouring on day one! Upgrading your Sacramento-area office coffee has never been this easy! Simply fill out our brief online form below and our friendly staff will guide you through the process. Whether you're looking to upgrade your office with a single tap kegerator or you're interested in a full multi-tap setup, you've come to the right place! Since every office is unique, Six Degrees Coffee is always prepared to customize their service to fit your specific needs. Once you reach out to Joyride, we'll make sure you're connected to the right coffee consultant at Six Degrees Coffee to ensure the perfect setup is created for you. Have a cafe or restaurant looking to set up cold brew on tap? Look no further - Joyride and Six Degrees Coffee can help install a custom draft setup for your foodservice location to help streamline your workflow, increase sales and give your shop a "Wow" factor that can only be achieved with craft in draft kegs. Always made from the finest possible ingredients and brewed to order, you can catch on to the hottest trend in coffee with Joyride! 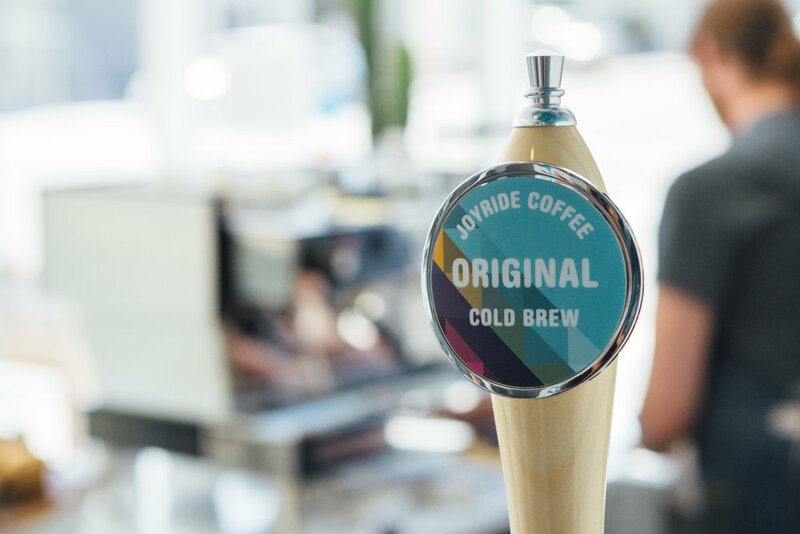 Want to have joyride cold brew in your office or cafe? contact us for more information!